CIO Paul Harder heads all IT operations for The Arc Greater Twin Cities and acts as Arcâ€™s security officer. His responsibilities include not only The Arc, a nonprofit agency serving people with intellectual and developmental disabilities (I/DD) and their families, but also Arcâ€™s Value Village Thrift Stores & Donation Centers, a chain of four thrift stores that raise revenue for the agency. In 2011 Paul received the inaugural CIO of the Year award from Minneapolis St Paul Business Journal. Paul is a veteran of the United States Air Force and holds a degree in Electrical Engineering. Michael Skaff is the VP Technology, the Masons of California. Prior, he served as CIO of LesConcierges, the world's premier provider of global concierge services and solutions. Mr. Skaff also served over four years as the CIO for the San Francisco Symphony, where he directed the enterprise technology strategy for one of the Bay Area's largest cultural organizations. Mr. Skaff has a distinguished record building world-class technology and high-performing teams in strategy, development, operations, IT, and consulting across an array of industries. He is a published author and a recognized speaker and panelist at technology industry events. As a research Vice President for Gartner's Office of the CIO, Heather Colella works hard to make the difficult easy when helping CIOs improve their contribution to business results. She is passionate about strategy, governance, effective communications and Gartner clients' personal success. Ms. Colella's motto is: "Your Success Is My Joy" because when she works with clients on a daily basis, she feels energized by the results the clients achieve using Gartner research. Ms. Colella's experience has been invested as a management consultant, developing information technology strategies, architectures and plans for major corporations. She has been a CEO of her own management consulting firm, was a Managing Director with KPMG/BearingPoint, a Senior Manager with KPMG/Nolan, Norton & Co., and a Consultant with both Gemini Consulting and IBM. Adam Hils is a Research Director with Gartner Research. He covers network security, including intrusion prevention systems (IPS), enterprise firewalls and UTMs. In addition, Mr. Hils provides advice to budget-constrained midsize enterprises about prioritizing security investments. To Josh Linkner, creativity and innovation are the lifeblood of all human progress. Heâ€™s spent his career harnessing the power of creative disruption. As the founder and CEO of four tech companies, Josh built his businesses from a blank page into a combined value of over $200 million. As a hyper-growth CEO of over 20 years, heâ€™s used innovative approaches to topple competitors, fight through adversity, and achieve at the highest levels. He is the founding partner of Detroit Venture Partners, investing in tech startups as a platform to help rebuild his beloved hometown of Detroit, Michigan. Jose Ruggero is Managing Vice President for the ERP Strategy and Value Realization research, whose purpose is to address the key initiative of transforming ERP to postmodern ERP. This global team researches the strategies and value considerations needed to ensure ERP and other enterprise application suites support an enterprise's strategic business objectives. Additionally, this team produces insights into future trends and applications of postmodern ERP to meet enterprises' growing needs for innovation and agility to support digital business. Prior to this role, Mr. Ruggero was the head of Gartner's Executive Programs business, first in the Asia/Pacific region, and then in the Americas and Japan. Additionally, he worked directly with CIOs, their teams and other senior executives throughout the world with particular emphasis on coaching for communication, strategy and innovation. Brian P. Watson is an author, speaker and contributor to a wide array of business/technology outlets focused on IT leadership and the CIO role. He currently serves as Co-Head, CIO Networks at Metis Strategy, a business and technology strategy consulting firm. Watson is the author of Confessions of a Successful CIO: How the Best CIOs Tackle Their Toughest Business Challenges (Wiley, March 2014), and writes profiles of elite IT leaders for CIO.com. Previously, he served as Editor in Chief of CIO Insight. Brian has also contributed analysis and reporting to various IT leadership publications, and has delivered keynotes and moderated panels at various CIO-themed conferences. Outside of his writing, speaking and IT leadership analysis activities, Brian has also served as Director of Business Outreach for Workforce Opportunity Services, a 501c3 nonprofit that trains talented military veterans and young adults for careers in the private sector. More recently, he was Executive Director at iRise, where he oversaw thought leadership events and programs for IT executives. Brian earned a Bachelor’s degree from Bucknell University and a Master’s degree from Northwestern University’s Medill School of Journalism. He lives in Fairfield County, CT, with his wife and son. Ed Weinstein specializes in IT vendor management with a strong concentration on infrastructure, including supplier relationship and performance management; contract management; negotiation and RF(x) processes; and vendor governance. In addition to his experience in IT sourcing and vendor management, Mr. Weinstein has also worked as an infrastructure engineer and architect focused on data center management and client/server technologies. Prior to joining Gartner, Mr. Weinstein was responsible for managing key IT vendor relationships for domestic and global Fortune 50 companies. Jim Noble is Principal of The Advisory Council, an organization of over 350 experts providing technical & career advice to senior IT executives. Previously, Noble was Global Head of IT strategy for BP, Managing Director of IT for Merrill Lynch & Co, Group Vice President and CIO of Altria Group Inc, Senior Vice President and CIO at AOL Time Warner. Prior to that, Noble had been with General Motors Corp, where he was based in Detroit as Chief Technology Strategy Officer, moving to that assignment from the role of CIO of General Motors International, where he was responsible for all IT activities outside of North America. Earlier in his career, Noble led the worldwide IT consulting practice at Cap Gemini, and prior to that he worked for GE on the design of aircraft systems. In 2012, Noble was awarded CIO Magazineâ€™s annual award for innovation in IT. He also was president of the Society for Information Management, the leading professional association for IT executives. Thomas Miler joined Anthem in May 2014 to lead the company’s information technology organization. He is responsible for all enterprise‐wide information technology initiatives with the focus on delivering secure, and cost effective solutions that enhance Anthem’s business capabilities. In 2015, Miller took on additional responsibility for Anthem’s “Innovation” function and the Anthem Innovation Studio to drive consumer transformation. Cola Hellenic Bottling Co. during a six‐year assignment in Europe. Miller earned bachelor’s degrees in business management and computer information management from Northwood University in Midland, Michigan, and an executive MBA from the Goizueta Business School at Emory University. He was a charter board member of SAP’s Global Consumer Products Industry Advisory Council, and is chairman of the Alliance for Freedom, Restoration and Justice, a non‐profit organization devoted to combating human trafficking. Miller was honored as a Top Ten Visionary Leader by Consumer Goods Technology magazine. MES is the Midmarket IT executive event of the year. No other event can offer IT decision makers with exclusive access to more than 60 top vendors, seasoned Gartner analysts and an elite group of peers. Our unique format enables attendees to maximize their valuable time out of the office by building significant relationships and gaining critical knowledge – in one trip. Working with Gartner, our strategic collaborator, enables us to deliver – without question – the industry’s best content available to the single largest annual gathering of midmarket CIOs. Expertly curated content includes demonstrations of cutting-edge products, services and new technology solutions designed to boost productivity and accelerate ROI. Senior-level IT executive’s leave this two and a half-day conference with the latest research, technology advancements and innovative best practices needed to build forward-looking IT strategies. CIOs and senior IT leaders must emerge as savvy influencers and become trusted allies to the business owners who have gained more control over IT purchases. To survive this shift, CIOs must position themselves as the ultimate business innovators driving a competitive advantage with tech solutions while viewing the business holistically. They must be central to the shift in how employees, suppliers and customers perceive and realize the value of IT to benefit from it every day. The job today is to get the whole enterprise behind you then help lead everyone through the big shift. Channel@Work is our way of giving back to the community that has given us so much over the past three decades. This charitable arm of The Channel Company’s events group is designed to bring the IT community together to connect and give back to the local communities that host our events. 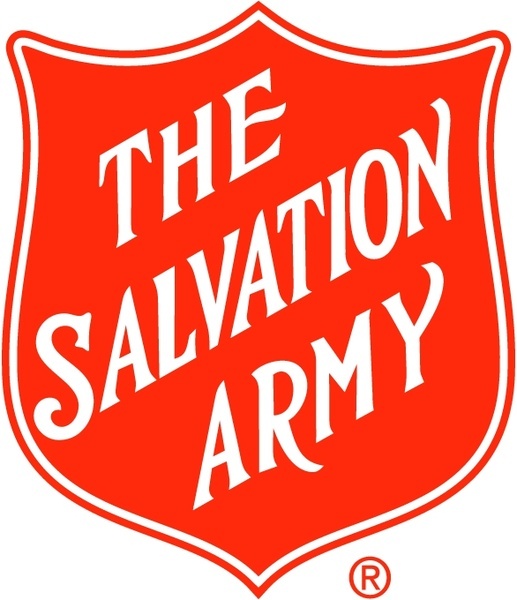 The Salvation Army Shelter for Women and Children provides a safe place for homeless and abused women and children in perhaps their greatest time of need. Established as the first facility in Indianapolis to help homeless and abused women and children, we have offered care, assistance, and guidance to women for more than 50 years. The Center is open 24 hours a day, seven days a week. Our 126 bed facility features rooms for both single women and women with children. We will be collecting the following much needed personal items on-site at MES East, so please remember to pack a little extra for the women and children in need in Indianapolis.